Drones are everywhere today. And every day, it seems like another independent company starts a new Kick Starter campaign to fund their project. That’s why we were a bit skeptical when we saw the campaign for the X PlusOne. 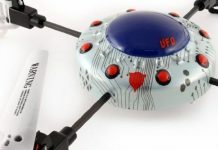 What makes this drone any different from the any of the other ones on the market today? 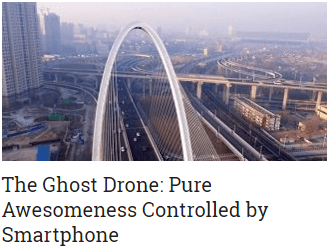 There’s one key thing that the X PlusOne excels at that most other drones don’t: hovering. 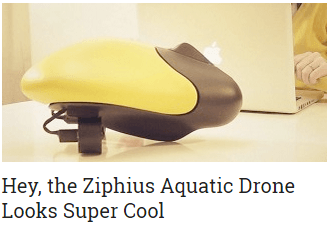 But this drone can do more than just hover. 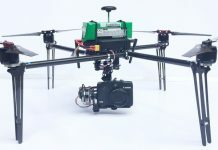 It can also fly at 100km/h to capture fast moving subjects. What else can this drone do? Let’s find out! The X PlusOne is a hybrid. It has a fixed wing for speedy flight, and it also has multi-rotor capabilities. 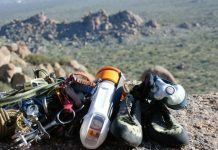 When it comes to stabilized hover, it’s hard to beat the X PlusOne. The specially designed control algorithms ensure that this drone stays in place – even if it’s windy. 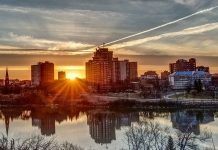 This is a huge benefit if you’re taking aerial photos. Another thing that makes the X PlusOne unique is its speed capabilities. Speed isn’t exactly something that most drone manufacturers focus on. But the X PlusOne developers did, and they were able to break the 100km/h barrier. Now you can aerial shots at high speeds, or capture fast moving subjects with ease. 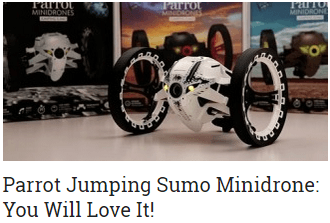 Related: Parrot Rolling Spider MiniDrone: This Toy Is Awesome! 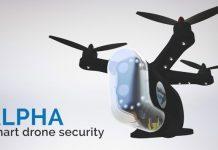 The drone is able to achieve such high speeds because of its aerodynamic design and lightweight body. The frame is made from carbon fiber that’s been reinforced with EPO foam. EPO is smooth and highly resilient, which is a good fit for a drone. The X PlusOne isn’t just about speed and hovering. Sure, it looks great when flying, but it’s also a camera drone. Numerous filming apparatus are available from a mini DV to GoPro cameras. And you can even choose to have a stabilized gimbal platform included with your drone for super smooth video footage. The X PlusOne may have advanced technologies, but it’s not designed for advanced users. 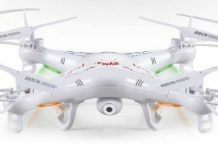 If you can fly an ordinary RC helicopter, then you can fly this drone. It’s self-stabilizing both in hovering mode and when flying. Just flip a switch, and you can move from hovering to forward flight instantly. Like other drones, the X PlusOne takes off, hovers and lands just like any other quadcopter. But its design is very different. Instead of a typical quadcopter frame, this drone has an upward facing wing. What this does is allow the drone to fly nose first at 100 km/h, which is twice the speed of a typical quadcopter. Because of its design, the X PlusOne is very easy to fly. And if you run into trouble during your flight, simply flip a switch and the drone automatically transitions to auto-level hover. This can save you from crashing or losing control if you’re flying too fast. Most other drones can’t handle wind very well, but the X PlusOne can withstand winds up to 30 mph. It’s not entirely perfect, but the drone’s self-stabilizing feature holds up very well in windy conditions. 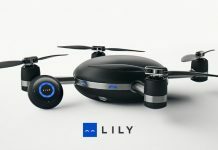 Weighing just 2.8lbs, this drone is incredibly lightweight and boasts a flight time of 10-15 minutes. It breaks down, so you can easily transport it from one location to another. And you can add camera mounts if you plan on shooting aerial photos and videos. Just keep mind that the maximum payload capacity is just one pound. Where Can I Get It? What Does It Include? The X PlusOne just completed a successful Kickstarter campaign in January 2015, and delivery is scheduled for July 2015. If you can’t wait to get your hands on this drone, you can pre-order now. 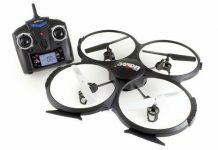 DIY Kit ($499): Comes with the frame and flight controller board. 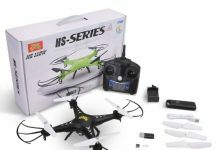 Ready to Fly ($1,199): Comes with the frame, flight controller board, 4 brushless motors, brushless ESC, battery and charger, and 2.4 GHz radio system. Ready to Fly with Basic AI ($1,499): Comes with the ready to fly kit plus the basic AI. 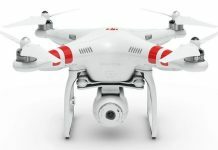 Ready to Fly with Telemetry AI ($1,599): Comes with the ready to fly kit plus the telemetry AI. 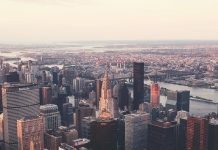 The XPlus One may not be a drone that the everyday consumer will buy, but it’s definitely a great option for aerial photographers and videographers. When purchasing the AI add-ons or packages, you’ll also be able to take advantage of autonomous flight functions, like “Follow Me”. The unique aerodynamic design, high speed and awesome hovering capabilities of this drone put the X PlusOne at the top of our drones-to-watch list.